At last, I managed two break the dry spell of not painting any human figures. I painted a Frostgrave Templar. 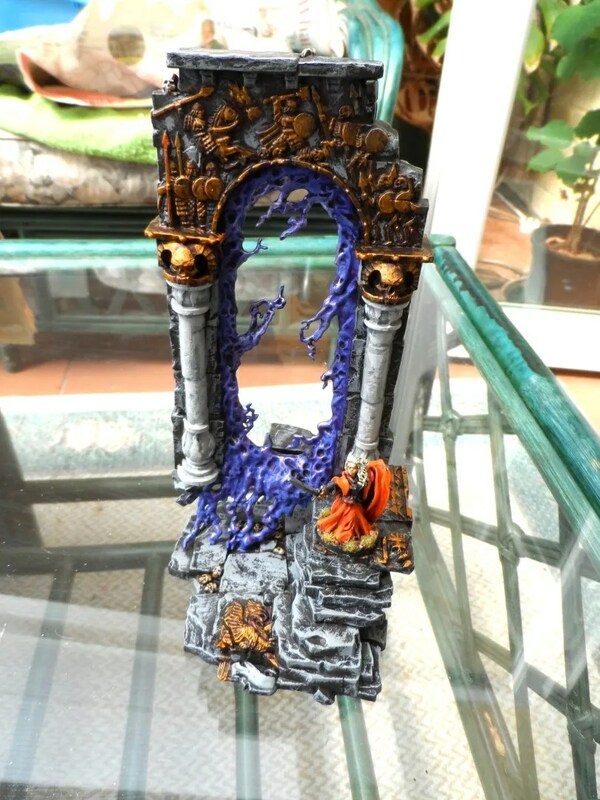 But first, I’d finished off one of the Gates I’d bought as featured previously. Quite a large chunk of scenery as you can see. 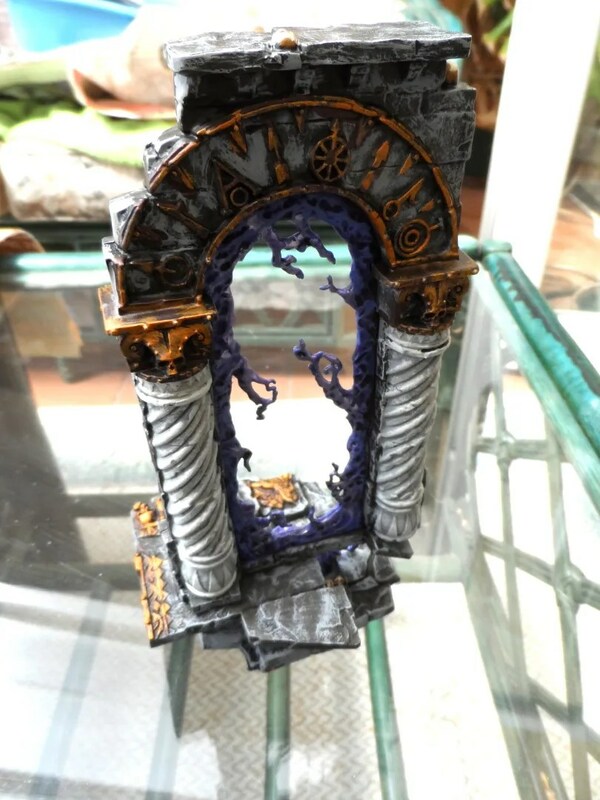 I painted the inside crackly weird stuff violet and highlighted it with a metallic purple/violet just for good measure. 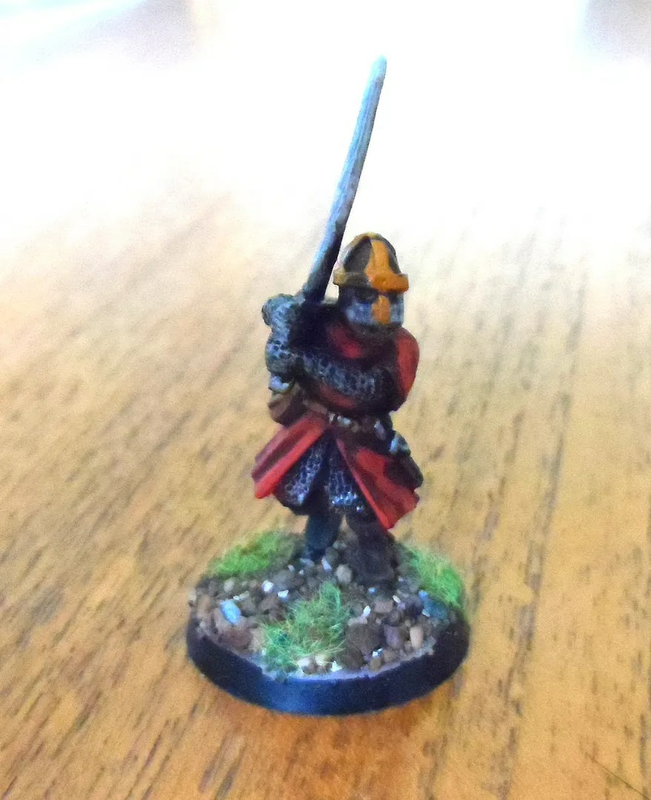 First human figure painted this year, so getting back in to the swing of things ahead of a games session with JP on Friday. …the armour rack/suit available in their extras range. I deliberately painted them the same colours to make that connection, plus blood red helps the items stand out on the table top. 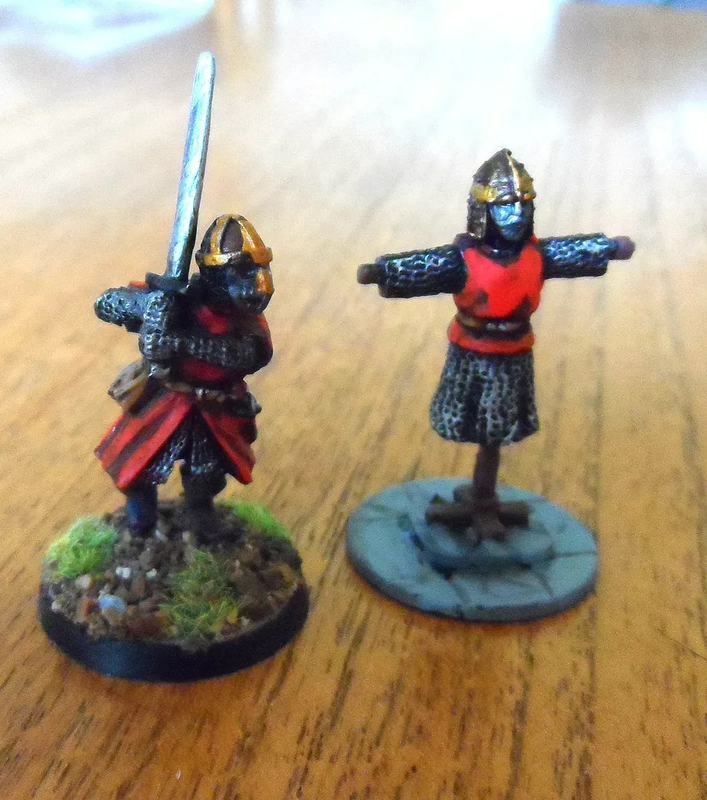 Unlike the Constructs, this figure and scenery pieces are much more weighty and in line with both their plastics and most other 28mm figures.